Facebook Messenger got a new dark mode, but you will need this quick tutorial to enable it. The Facebook Messenger app for Android and iOS is getting a new dark theme. This has been the most-requested feature, and it’s good a dark mode has finally come to the Messenger app for Android and iOS. 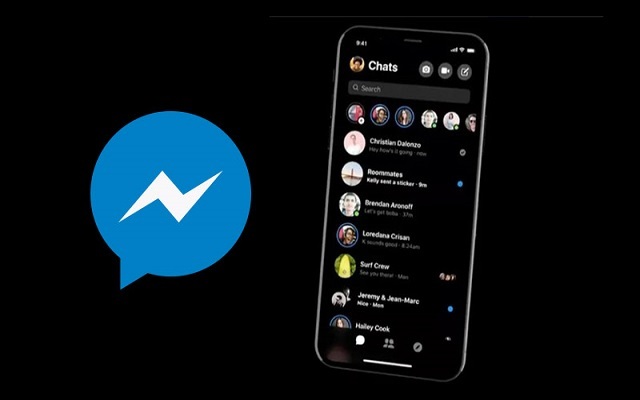 The Social media giant first announced a dark mode for its Facebook Messenger app at last year’s F8 developer conference. During the annual developer conference, Facebook said the feature would be coming “very, very soon”. However, the feature is now available to all users. Here is how to activate Facebook Messenger’s secret dark-mode theme for night viewing. *First things first, fire up the Facebook Messenger app on your iPhone or Android smartphone and select any chat thread you want to interact with. *In the chat thread, type the smiley face icon inside the message compose window. *Go to the Emoji tab and try to find the Crescent moon emoji and send it over. *Once done, you will notice an animation with the Crescent moon emoji dropping like rain over your chat. *When the animation is over, a message pops up notifying that “You found dark mode” at the top. *Tap it, and you will be taken to the Settings page where you can either turn on or off the so-called dark mode. In case you don’t see the animation when you send the Crescent moon emoji, it is recommended to repeat the process. Hopefully, it should work this time.